Back pain is a general term used to describe felt in this large expanse of our body. Nevertheless, almost all back pain is caused by a problem with the spine, the series of bones that runs from our skill to our pelvis that supports our bodies in an upright position and allows us to bend, twist and more. 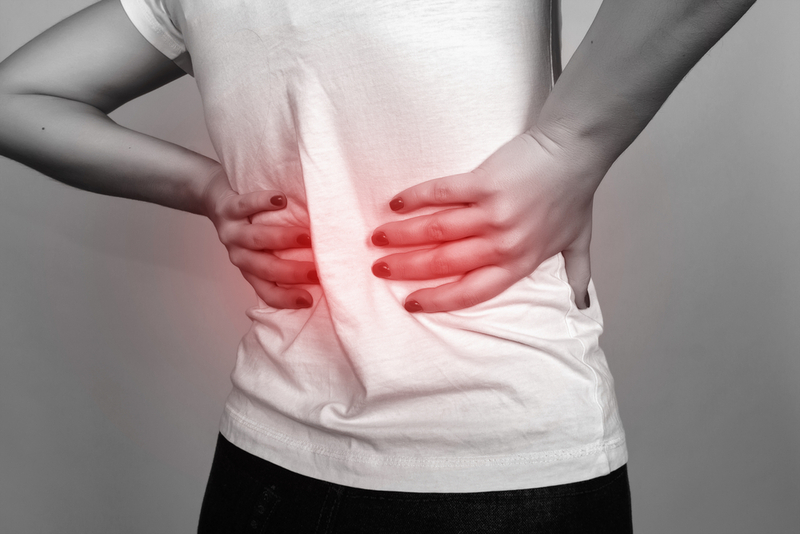 One of the most common causes of back pain is a herniated disc. A herniated disc, also known as a slipped disc, is a problem that occurs regularly in the lower part of the back. The actual discs it refers to are essentially circular sponges and located between each of the vertebrae that make up the spinal column. Each disc has a soft, gel-like inner known as the nucleus pulposus which is enclosed within a tough, outer layer called the annulus fibrosus. The purpose of these discs is to act as a shock absorber and protect the spine and facilitate movement in a variety of ways. However, when a disc herniates, the soft, inner gel begins to protrude through the outer shell. This causes a bulge that will irritate the nerves surrounding it, causing pain and other symptoms to occur. Although herniation can occur in any of the discs in the spinal column, lumbar herniations are extremely common. This is when it is a disc in the lower part of the back that has herniated. What are the symptoms of a lumbar herniated disc? Unsurprisingly, most patients with a lumbar herniated disc will experience some degree of lower back pain. This is often described as dull or ‘throbbing’, but for some patients comes and goes. For many patients, the pain in their legs is significantly worse than in their pack. This is because herniated discs in the lumber region often cause sciatica – a condition whereby pressure on the sciatic nerve serving the legs causes pain and numbness. Varying pressure on the nerves in the lower back can cause a range of neurological symptoms including numbness, tingling, pins and needles and weakness – right down to the foot and even toes. Some sufferers may also experience a problem known as ‘foot drop’. This occurs when neurological changes make it difficult to lift the foot when walking. Many patients find that their discomfort worsens once they start moving around again after a period of sitting or standing still. Sudden, involuntary movements such as sneezing can also cause an acute flash of pain. This is a very rare, but dangerous symptom of a herniated disc that causes pressure and swelling on the nerves at the end of the spinal column that is so intense, emergency treatment is necessary to prevent permanent damage. Fortunately, there are a number of different treatments available for a lumbar herniated disc. Most spine specialists will recommend you try non-surgical therapies first, such as physical therapy, anti-inflammatory drugs and chiropractic manipulation. However, some patients are not able to find adequate relief using these methods and instead opt for a procedure known as a discectomy. This is the most common surgery used to treat herniated discs in the lumbar region and involves removing the part of the disc that is causing pressure on the surrounding nerves. If our spine specialist believes that a discectomy is the best course of action to treat your lumbar herniated disc, they will talk through the procedure with you in detail, giving you the opportunity to ask any questions that you may have.